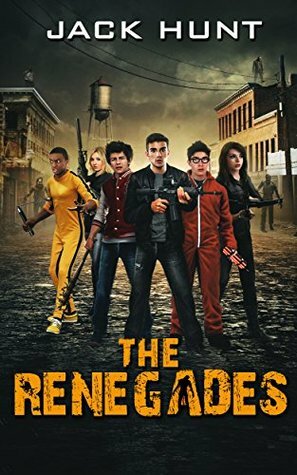 My Thoughts: The Renegades wasn't a bad book but I think it tried a bit too hard to be a John Hughes movie set inside a Zombie apocalypse. Whereas I was hoping more for something like Freaks & Geeks (more comedy less drama) meets Zombie Apocalypse. One of the biggest issues I had with the story invovled the Colonel character. I really felt that whole sub plot was unnecessary and that it was included more as an afterthought. The story could have held its own just following the character's as they figured out whether to stay or go but I guess every story needs a big bad and the Colonel was intented to be it. Overall, this story wasn't bad but it didn't exactly inspire greatness or leave me chomping at the bit to read the next installment in the series. 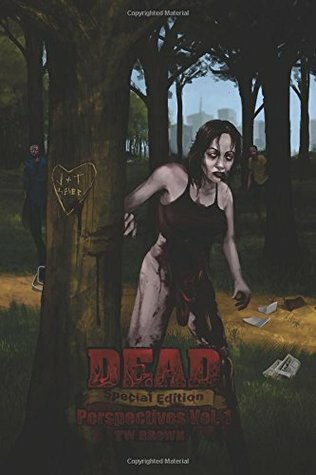 My Thoughts: I didn't realize going into this one that it was a compilation of the first three books in the Author's Dead series Dead: The Ugly Beginning, Dead: Revelations, and Dead: Fortunes and Failures so that was a big score! While the story starts out pretty typical for a Zombie apocalypse it quickly spirals into a tale of everyday survival in a newly dead world. The story isn't fast paced by any stretch but over the course of the many hours listening I found myself completely glued to the story and the characters. Another big bonus is the narrator. I am what you'd call a narrator snob. A bad one can break a good book for me. Thankfully Andrew McFerrin does a great job voicing the rather large cast in this story. Are his accents spot on for both sexes? Not always, but he tries to make them all sound unique and of the right gender and age so that counts. Out of curiosity, Have you heard of these books? If you have, Which one was your favorite? Wow! That's pretty cool that you got more than you bargained for with DEAD. I read it wrong at first and thought it was excerpts from the first three books. I have books that are just a ton of snippets from multiple books. What's the point? Anyway, I'm glad that wasn't the case with DEAD and that you actually enjoyed it all. I agree, a narrator makes or breaks a story for me. I have the first couple books in this series in E-Book form but never got around to reading them all so it was cool to knock out a bunch in one shot.